Once you've decided what plans you have for all your lovely tomato and narrowed down the varieties (read more here), you'll be ready to start your tomato seeds. 1. When Can I Plant?! 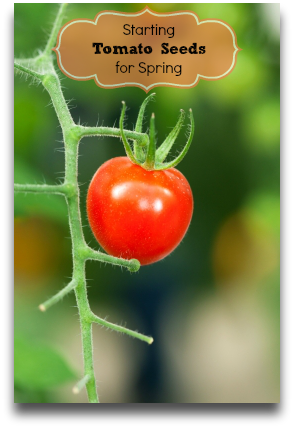 The first thing you'll need to do is determine when tomatoes can be planted in your zone and start seedlings 5-8 weeks before your last frost date. Check you zone here. I live in the Gulf Coast region of Texas (9a/b). So, I generally aim for Valentine's Day to get my tomato transplants into the ground. This is a base date that I keep in my head, but I have to watch the weather. The last few years have my tomatoes pushed closer to early March. 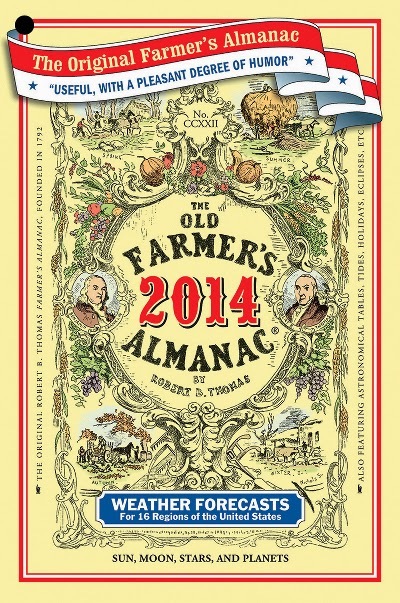 Find your last frost date by entering in you zip code here (or click on the picture) at the Old Farmer's Almanac Site. 2. I Can Start My Seeds in What?! The next thing you'll need to take into consideration are the containers you'll use and the soil you put in them. There are many options for containers for starting seedlings: Yogurt containers, toilet paper tubes, newspaper seed starters, egg shells, etc. Choose a good seed starting soil mixture, not just a scoop out of your flowerbed. ;) You don't want to mix in any weeds. When my boys want to help me start seeds, I have to remind them that not all seeds require a big hole. There's just something about being a little boy that makes you want to dig a big hole (in my house, anyway)! Bury your seeds 1/4" deep about 1/2" apart and lightly water. Don't soak the soil! Throughout the seed starting process keep the soil moist but not overly wet. You can also cover the plants with a tent of plastic wrap or soda bottles to help retain moisture. Tomato seeds need warm soil to germinate. You're looking at 75-80F. You can use a bottom heat mat to help you little seeds along. 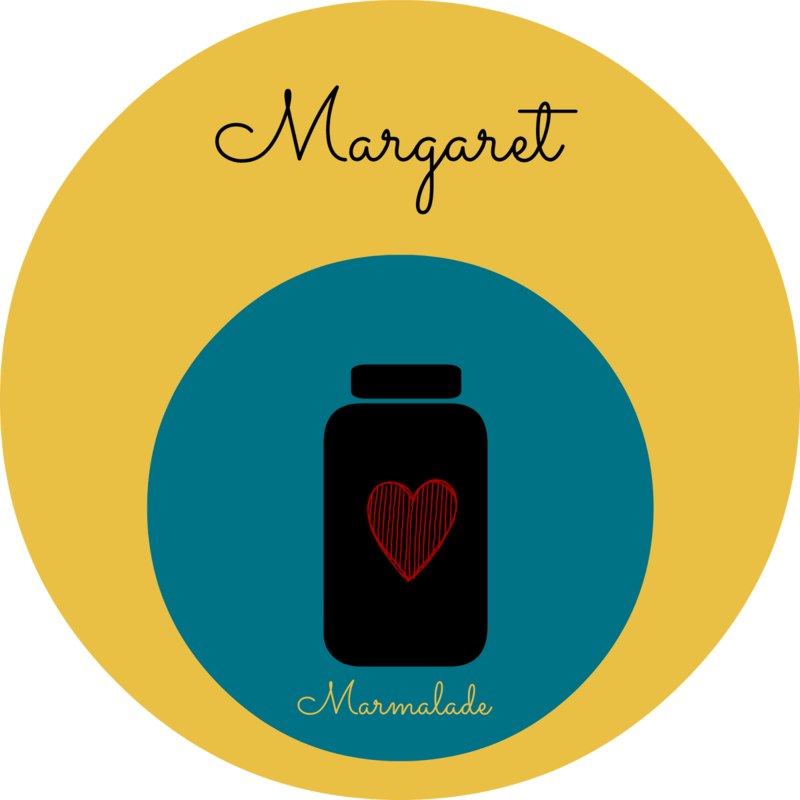 Make sure to label you tomatoes as you plant the seeds! I reuse old mini blinds cut 5" or so long to label my plants. Once your seeds have germinated and the little shoots begin to appear above the soil, the plants need a light source to continue to thrive. Here are my darlings starting to emerge! Once your tomato seedlings have their true leaves it will be time to find the healthiest looking seedling in the pot and pull out the others. Some people use small nail scissors to cut out the smaller seedling. It would be nice if transplants could go straight from the comfort of your greenhouse or home and into the ground, but there are so many elements that they are protected from within the confines of a building. This process usually takes about a week or so. Start off by placing your transplants in a semi protected area outside that doesn't receive full sun or wind. Then begin placing them in a sunny spot for a few hours at a time and slowly increase the time as the plants harden off. Bring your transplants back inside at night, especially if your temperatures are freezing or near freezing at night. Once you've got your tomato transplants hardened off, they are ready to go into your garden. 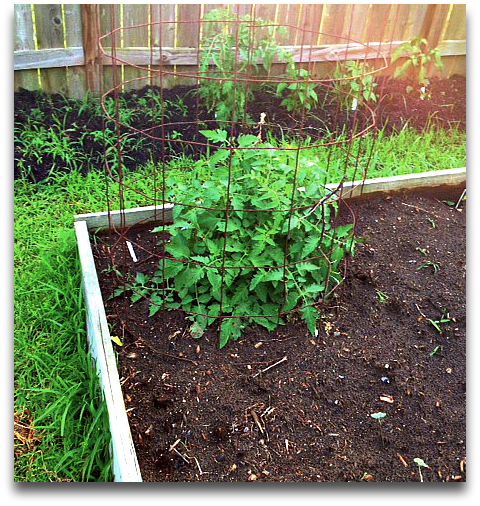 Tomatoes do well with a trellis or tomato cage of some type. I have 3 large cages made out of cattle panel that has been curved around. I'm planning on making some more with bamboo. It's hard to tell from this picture, but this cage is about 6 feet tall. Once you've got your tomatoes in the ground keep them watered consistently and mulched well. I'll be back soon for nurturing and troubleshooting tomato problems. I always battle those stinkbugs. This year I've got their number! Thanks for sharing this at Green Thumb Thursday! 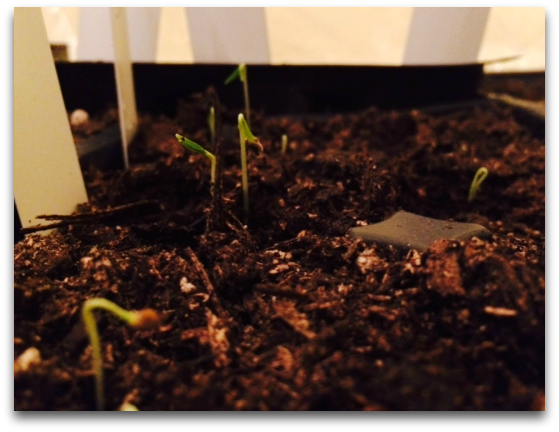 I always tell people to start their seed starting ventures with tomatoes - they're so rewarding! We hope you'll come back next week and share again.